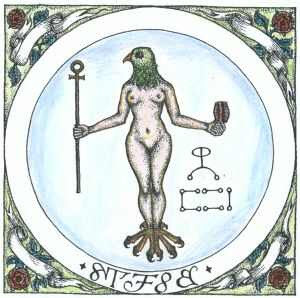 King Solomon’s supreme secret is said to be his knowledge of the language of the birds. The language of the birds in tasawwuf or what is better known as Sufism, is the watermark of prophets, the wali or nabi. We can understand wali to be ‘saintly’, while nabi is a wali that has a mission in the world that goes beyond itself. By resorting to a word like ‘saint’ this invites a great range of misconceptions, because it brings the thoughts of modern man towards an image not in conformity with what a ‘saint’ truly is. A saint is someone whose maqam, or station is in divine proximity. This divine proximity can result in the saint being a recluse and wander incognito in the world, like a wali, or motivated by a certain mission is making the knowledge he or she wants to pass on available to the world, being a nabi. There is no difference in the station of the wali and the nabi, what differs is the compass, and the direction of attention. So, by sainthood we must understand a proximity to the divine, which is simply accomplished by turning ones passion towards the intellect and onwards, refusing to be a slave of passions, but rather using passions in the service of the One.